We live in a time where we can take our bicycle, hook it up to a machine and “explore” the world through Zwift and other applications. But is that truly exploring? Maybe I should ask this, why do you ride? Author Eben Weiss asks this same question in a recent article for Outside, The Art of Wayfinding. As he points, out, there are many ways to pick your route – go out to Dickey Farms and come back the same way, ride around Amerson River Park or your neighborhood, join in on a group ride and follow a set route, etc. Would you prefer to follow a set route? What distance would you prefer to ride each week? Would you be interested in a social aspect after the ride? Allow me to recommend a new route/group ride – The Mellow Ride. This is a ~10 mile loop that could start in the Bass Pro Shops parking lot (as seen in the picture) or in the Mellow Mushroom parking lot. 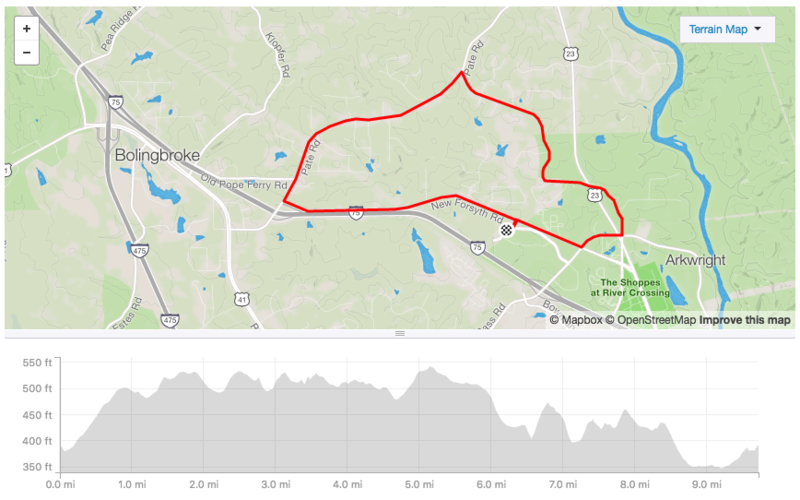 With only a 10 mile loop, you could ride multiple laps to achieve your mileage. We took the Adventure Ride group out last Tuesday for a test run and we had a good time. There are some hills and long stretches to gain speed. We did encounter some traffic, but everyone moved way over for us. We ended at Mellow Mushroom and enjoyed playing Trivia togehter on a Tuesday night. I’m going to put this out there in hopes that through your own individual groups/cycling communities, you will find this beneficial. Bike Tech will not be leading a ride here, but we will ride with your groups as often as we can and will try and get some momentum started. It is also worth sharing that there are a number of other rides (varying locations, times, speeds, distance, etc) in the works. There is a lot of momentum behind a new Saturday morning ride coming soon. So, stay tuned, thank you for your feedback and most importantly, get outside and ride! For more information on local group rides in Macon, check out the Local Rides page on our website. Next post Shimano’s First 1×12 Drivetrain is Here!